Hospital services are listed below. 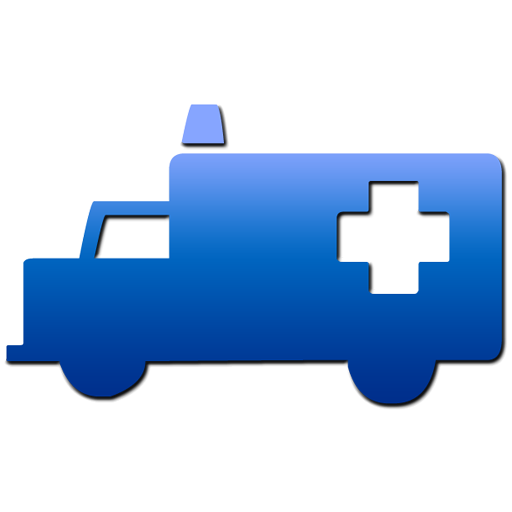 The Ballinger Memorial Hospital Ambulance Service offers patients and other municipalities many services. We provide ground transport for a large area of Runnels County and assist other local communities when the need arises. Our two new Ambulances are used not only for emergency situations, but to transport patients to other facilities and are readily available at local football games and various other events that take place in the county. Our Emergency Services team is comprised of Director Mike Goetz, who has worked in EMS for over 20 years and two other full-time paramedics along with a dozen part-time paramedics who live and work locally in our community. Our top of the line Ambulances were exclusively designed by the emergency medical department here at Ballinger Memorial Hospital which was overseen by Caroline Priddy, our former EMS director, who graciously sacrificed a great deal of time and effort in preparation for the two new emergency vehicles. To provide our patients with the best patient safety, our ambulances consist of state of the art equipment such as hydraulic lift stretchers, modern defibrillators, and air bags that give Ambulance the highest safety rating. With these innovative Ambulances, Ballinger Memorial Hospital Emergency Services has highly skilled paramedics and the supreme technology and tools to better serve our community and its needs. The Ballinger Memorial Hospital provides local emergency care through our Emergency Room. Our ER is a Level IV Trauma Center and we are open 24 hours a day, seven days a week. From a minor injury to a medical condition, our skilled board-certified physicians and ER trained nurses will evaluate you and your loved ones in a convenient, comfortable, and upscale environment. Our ER is located here in Ballinger and we will always be open and here when you need us. Our Emergency Department team is overseen by our Chief of Medicine, Dr. Bradly Bundrant, who has worked in Emergency Room Services for over 20 years. How to get to the Emergency Department? From the Ballinger Courthouse, head northwest on N. Broadway (Hwy 153) for 1.2 miles. Turn right on Avenue B. We are located on the corner of N. Broadway and Avenue B. What to bring with to the ER? There are a variety of reasons why it may be necessary for you to wait for care and treatment. All patients are assessed and the sickest are treated first. The emergency department does not schedule appointments, so there is no control over how many patients arrive at a given time. You may arrive at an especially busy or critical time, and therefore experience a longer wait time. 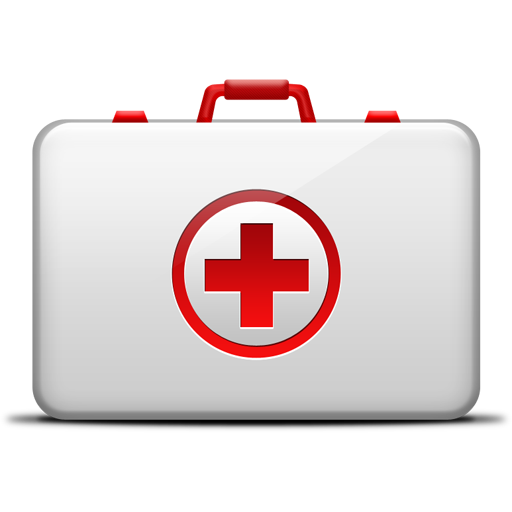 Your emergency provider may order tests or medications. Different from a doctor’s office, emergency department patients often must wait for the results of x-rays or tests before they are treated and discharged. The Ballinger Memorial Hospital District offers in-patient hospital services for patients admitted to the hospital who are acutely ill. Our knowledgeable and skilled medical staff strive to maximize healing through the prompt detection of emergency situations and the prevention of complications associated with diseases and disorders. To help ensure positive outcomes, our medical staff collaborates with the patients and their families to develop an individualized plan of care to meet each patient's needs. Our modern hospital rooms are furnished with contemporary furniture and include renovated bathrooms designed with patient needs in mind. 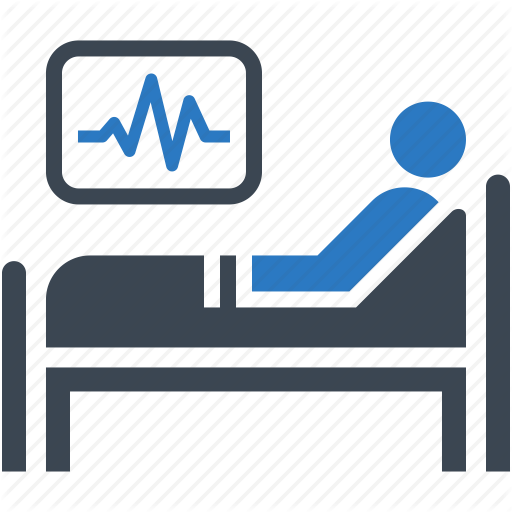 The hospital rooms also include state-of-the-art equipment including a nurse call system, telemetry, non-invasive blood pressure machines, alarms, and other patient care equipment. Our staff utilizes an electronic medical record system when accessing or updating patient information. Throughout the hospital stay, patients and their families are provided education about the patient's particular condition. In addition, education is provided on treatments, procedures, and medications that may help manage the patients' conditions. Ballinger Memorial Hospital offers comprehensive healthcare services to meet the needs of families and individuals in our community. The Ballinger Memorial Hospital Laboratory delivers a wide range of lab tests to help providers diagnosis and manage patient medical conditions in both the inpatient and outpatient setting. We provide comprehensive lab services to help accurately assess the medical conditions of each patient. Our onsite lab and innovative equipment means that results will be prompt and accurate, so that each patient can be treated and diagnosed in a timely and efficient manner. Our laboratory team is comprised of a Board Certified Pathologist, an on-site Medical Technologist, along with several lab technicians who meet and exceed the high standards set by the Clinical Laboratory Improvement Amendments (CLIA). The Ballinger Memorial Hospital Laboratory has been newly updated to better accommodate each patient's safety and privacy. The lab is wheelchair accessible and includes a patient phlebotomy chair that improves our patients' experiences. Providers can send lab orders to the hospital lab and the results will be sent directly to your ordering provider. No appointment is needed for lab testing during regular business hours. Upon arrival to the hospital, patients will need to register at the front desk in order to have their laboratory tests completed. The Ballinger Memorial Hospital Pharmacy is a department of the hospital which is responsible for the supply of medications to each patient. The Pharmacy provides the procurement, distribution, and control of all pharmaceuticals used within our facility. The pharmacy is also tasked with providing the hospital staff and patients with accurate, comprehensive information about drugs and their use and serves as its center for drug information. The newest addition to our Pharmacy is the Omnicell. Omnicell is an automated medication dispensing system that helps create a safer, simpler medication process so that nurses have more time to care for our patients. Omnicell improves quality care by making sure our patients get the right medication every time. In addition, Omnicell provides enhanced medication tracking and it ensures medications are secure at all times. Omnicell delivers advanced interoperability between the patients' health record and the medication dispensing unit providing a resilient continuity of care and accurate patient charging. We are excited that we are able to provide our patients with the numerous innovative features of Omnicell. The pharmacy department is headed by our Clinical Pharmacist, Beth Edington who is the director for the hospital pharmacy and the Keel Drug pharmacy. Beth works closely with the physicians with renal and clinical dosing of medications and ensures the correct dispensing, compounding, and distribution of medication to the patients. Beth leads a team of Certified Pharmacy Technicians who cover shifts at both the hospital pharmacy and Keel Drug providing our patients with seamless, superiority care at both locations. The Ballinger Memorial Hospital Physical Therapy department provides individualized and evidence based treatment to address disorders related to a patient’s deficits and impairments. After a referral from a provider and an initial evaluation/assessment of your condition, our staff strives to provide personalized and professional interventions using a variety of one-on-one treatment techniques. A unique and detailed treatment plan related to your condition will be developed and delivered through therapy sessions to meet your particular functional goals and allow you to return to your normal, everyday activities at home and in the community. The Physical Therapy Department helps to regain function through a hands-on clinical approach and exercise: strengthening, stretching, postural/gait training, neuromuscular re-education, balance activities, and other specified interventions such as Kinesiotaping and Functional Dry Needling. Our Physical Therapy team also provides these services for our in-patients through our Swing Bed Program. You get the same one-on-one care to help you come to be independent again. Our Physical Therapy team consists of Susan Schwertner, PT, Johanna Lange, DPT and Kendra Jones, PTA. Out-patient therapy sessions are scheduled in order to provide the highest quality of care and limit patient wait times. The Ballinger Memorial Hospital Radiology Department provides a comprehensive range of imaging services using the latest imaging technology to diagnosis and treat patients in both the inpatient and outpatient setting. 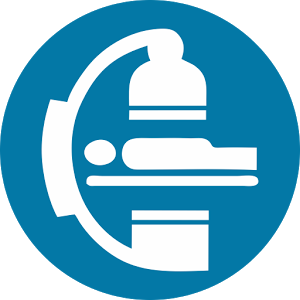 Our onsite imaging services and state-of-the-art equipment means that results will be prompt and accurate, so that each patient can be treated and diagnosed in a timely and efficient manner. Our radiology team consists of Board Certified Radiologists and Registered Radiology Technologists who meet and exceed the high standards set by the Texas Department of State Health Services. The Ballinger Memorial Hospital Radiology team provides bone density testing onsite using modern technology. Results are sent directly to your ordering provider. The bone density test takes about 10 minutes. The trained radiology technologist performing your exam will take images of your hips and spine while you lay on the imaging table. A Bone Density test, also sometimes called a Dexa Scan, is a special kind of X-Ray that measures the amount of energy your bones absorb. 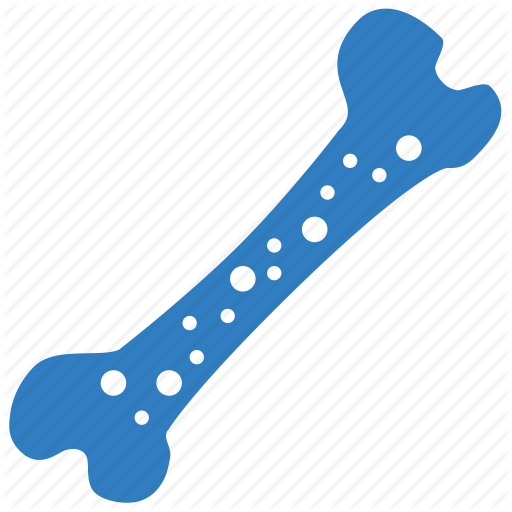 This indicates the bones' density and strength. The exam helps to diagnose and track the treatment of osteoporosis and other conditions that cause bone loss. Bone density testing is most often used to diagnose osteoporosis, a condition that often affects women after menopause but may also be found in men. Osteoporosis involves a gradual loss of calcium, causing the bones to become thinner, more fragile and more likely to break. The exam is also effective in tracking the effects of treatment for osteoporosis and other conditions that cause bone loss. The test can also assess an individual's risk for developing fractures. Ask your provider for more information. What should I expect BEFORE my bone densitometry exam? When to arrive: Arrive 15 minutes before your scheduled appointment time to register and fill out any necessary forms. What to wear: You should wear loose, comfortable clothing, avoiding garments that have zippers, belts or buttons made of metal. You may be asked to remove jewelry, eyeglasses and any metal objects or clothing that might interfere with the x-ray images.Women should always inform their physician or technologist if there is any possibility that they are pregnant. Many imaging tests are not performed during pregnancy because radiation can be harmful to the fetus. If an X-ray is necessary, precautions will be taken to minimize radiation exposure to the baby. What will I experience DURING my bone densitometry exam? Scanning:Bone densitometry scans are a quick and painless procedure, and done on an outpatient basis. You will lie on a padded table. An X-ray generator is located below you and an imaging device, or detector, is positioned above.To assess your spine, your legs will be supported on a padded box to flatten the pelvis and lower spine. To assess the hip, your foot will be placed in a brace that rotates the hip inward. In both cases, the detector is slowly passed over the area, generating images on a computer monitor. You must hold very still and may be asked to keep from breathing for a few seconds while the picture is taken to reduce the possibility of a blurred image. The technologist will walk behind a wall or into the next room to activate the X-ray machine. Length of scan: The scan is usually completed within 10 to 30 minutes. What should I expect AFTER my bone densitometry exam? Instructions:You may resume normal activity immediately after your bone densitometry scan. Exam results: Timely results are essential not only for your peace-of-mind, but also for your physician to begin planning your treatment immediately, if necessary. After the scan has been read the results are sent to your physician, who will discuss them with you. The Ballinger Memorial Hospital Radiology team provides state-of-the art CT Imaging on site. Our new innovative 32-slice CT scanner has a variety of innovative uses in vascular studies and organs of the body. Results are sent directly to your ordering provider. CT studies, also known as Computed Tomography, typically take about 15 minutes for the scan. Specially trained radiology technologist assist you during the study. What is a CT imaging test? A CT Scanner rotates around your body to take X-Ray images from different angles creating two-dimensional detailed pictures. CT imaging serves a wide range of purposes from diagnosing kidney stones to bone fractures. Some CT exams involve contrast which may be a drink or injection to make the images more informative. At times, contrast may require blood tests before the test to make sure the contrast is safe for you. CT imaging exams require that you lie still in a confined space, however most patients tolerate the experience well due to the scanning time being so short. What should I expect BEFORE my CT scan? Medications:It is important for you to keep to your regular medication schedule. Please take all the medications that have been prescribed to you by your doctor. Just let our staff know what medications you have taken prior to your test. Food and drink:You should not eat solid foods for two hours prior to your test. You may, however, drink plenty of fluids, such as water, broth, clear soups, juice, or black decaffeinated coffee or tea. We encourage you to drink plenty of fluids before your arrival to our center. When to arrive:If you are having a CT scan of your abdomen or pelvis, you need to arrive one hour before your scheduled appointment. This is to allow time for you to drink barium sulfate before your exam and to ensure that the barium fluid completely coats your gastrointestinal tract. The barium helps to highlight body areas for the CT scan. If you are having a scan other than the abdomen you should arrive at your appointed time. What to wear: You should dress in comfortable clothing. It might be necessary for you to change into a hospital gown if there is metal in your clothing, such as a bra or zipper, within the area of interest of your study. If you are wearing jewelry or anything else that might interfere with your scan, we will ask you to remove it. The CT scan is conducted in a very secure and private environment. It is best, however, if you leave valuable items at home. 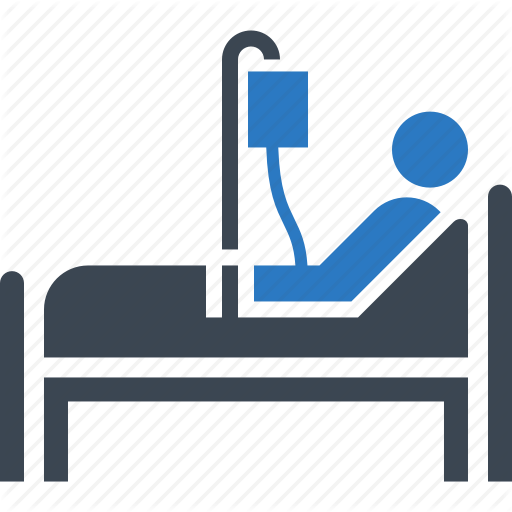 Intravenous preparation:Many patients receive a contrast agent intravenously (IV) during their CT test. If your doctor or the radiologist has determined that this procedure will enhance your CT scan results, the technologist will place an IV in your arm or hand prior to going into the test. What will I experience DURING my CT scan? 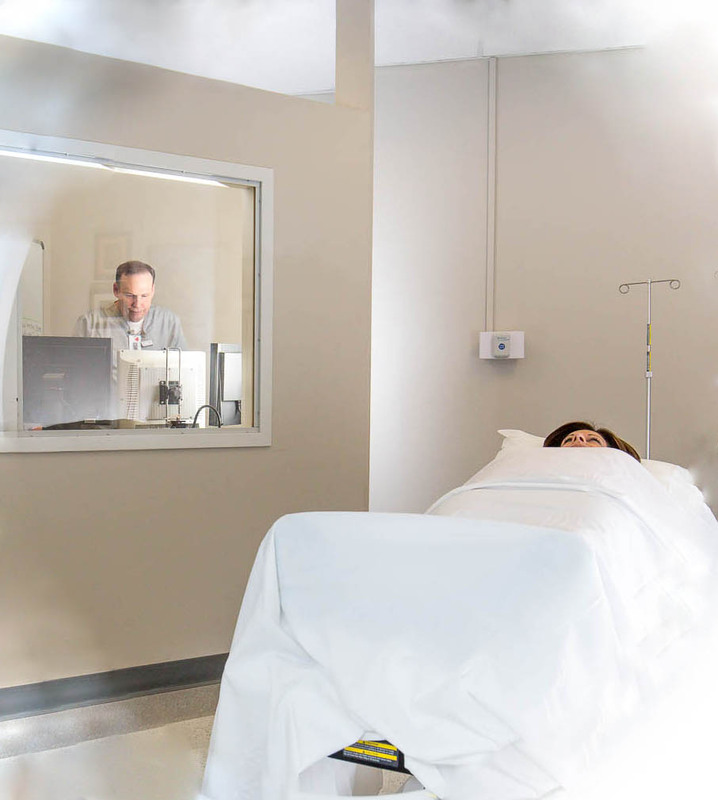 Scanning:Your CT technologist will bring you into the CT scan room where you will lie down on the patient table. The technologist positions your body so that the area you are having scanned is in the middle of the large doughnut-shaped scanner ring which holds the x-ray tube and an electronic detector. The technologist leaves the room, but is in full view and communication with you through the observation window in the adjoining room.The scanner does not touch you, nor do you feel the x-rays. It does make some noise and the table you are lying on may move slightly to make adjustments for a better view. It is important for you to lie very still and at some points, you may be asked to briefly hold your breath as the picture is taken. During the scan, a thin beam of x-ray is focused on a specific part of your body. The x-ray tube moves very rapidly around this area, enabling multiple images to be made from different angles to create a cross-sectional picture. The x-ray beam information goes to the electronic detector and then into a computer, which analyzes the information and constructs an image for the radiologist to interpret. Length of scan:Each CT scan is individualized and tailored to each patient's needs. In general, most examinations last approximately 15 minutes in total. Contrast medium:A contrast medium, or contrast agent, highlights your organs and blood vessels and helps the radiologist see them better. The contrast agents in use today carry a low risk of allergic reaction and cause little discomfort for most people. If you are over 60 or have kidney disease, diabetes, lupus, or multiple myeloma, you’ll need a blood test beforehand to make sure the contrast will be safe for you. What should I expect AFTER my CT scan? Instructions:You have no restrictions after having a CT scan and can go about your normal activities. To help eliminate the contrast medium from your body, drink plenty of decaffeinated or non-alcoholic beverages. Water and juices also work well. Exam results:All CT scans are read by a radiologist specialty trained in CT imaging and dedicated to the specific area of interest for your study. Prompt results are essential not only for your peace-of-mind, but also for your physician to begin planning your treatment immediately, if necessary. After the scan has been read the results are sent to your physician, who will discuss them with you. The Ballinger Memorial Hospital Radiology team provides advanced Digital X-Rays. Our new digital X-Ray machine allows for comfortable positions for patients and obtains excellent visibility in imaging details. 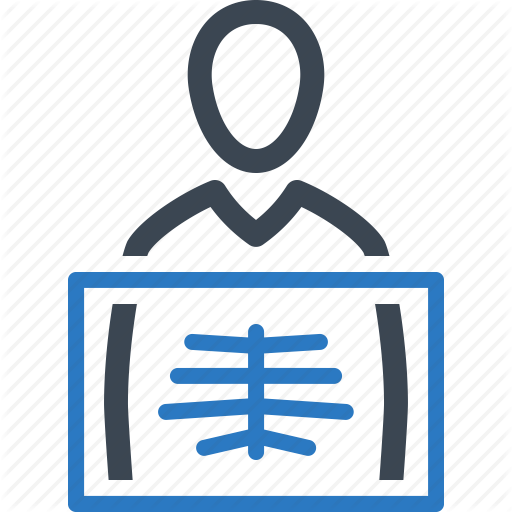 Furthermore, we offer portable X-Ray machine services for those patients that are not able to transfer easily to the Radiology department. Results are sent directly to your ordering provider. X-Ray imaging takes less than 5 minutes for most tests. Specially trained radiology technologist assist you during the study. Digital radiography is a form of X-ray imaging, where digital X-ray sensors are used instead of traditional photographic film. 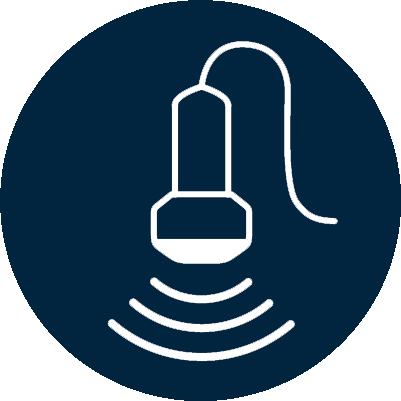 Advantages include time and efficiency through bypassing chemical processing and the ability to digitally transfer and enhance images. In addition, less radiation can be used to produce the same image quality as the older, non-digital machines. What should I expect BEFORE my X-Ray? Food and drink:You may maintain your normal diet before you X-Ray test. When to arrive:Arrive 15 minutes before your scheduled appointment time to register and fill out any necessary forms. Walk-ins with orders are welcome, however wait time can vary due to emergency services. What to wear: You should dress in comfortable clothing. It might be necessary for you to change into a hospital gown if there is metal in your clothing, such as a bra or zipper, within the area of interest of your study. If you are wearing jewelry or anything else that might interfere with your scan, we will ask you to remove it. The X-Ray imaging is conducted in a very secure and private environment. It is best, however, if you leave valuable items at home. What will I experience DURING my X-Ray test? 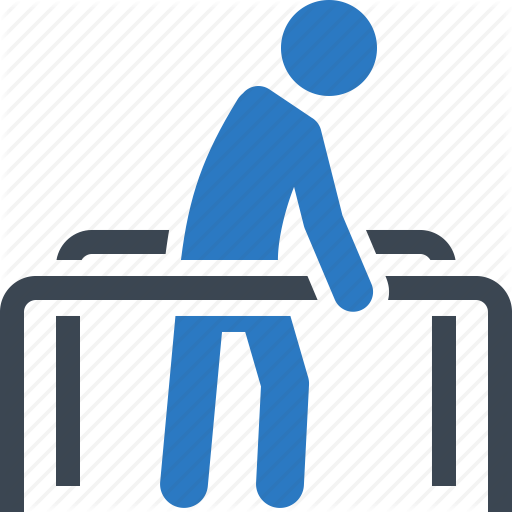 Scanning:Your radiology technologist will bring you into the X-Ray room where you will lie down on the patient table. The technologist positions your body so that the area you are having scanned is in the appropriate position for the best images. The technologist leaves the room, but is in full view and communication with you through the observation window in the adjoining room.The scanner does not touch you, nor do you feel the x-rays. It is important for you to lie very still and at some points, you may be asked to briefly hold your breath as the picture is taken. Length of scan:Each X-Ray scan is individualized and tailored to each patient's needs. In general, most examinations are less than 5 minutes. What should I expect AFTER my X-Ray test? Instructions:You have no restrictions after having an X-Ray and can go about your normal activities. Exam results:All X-Ray imaging are read by a radiologist. Prompt results are essential not only for your peace-of-mind, but also for your physician to begin planning your treatment immediately, if necessary. After the scan has been read the results are sent to your physician, who will discuss them with you. The Ballinger Memorial Hospital Radiology team provides MRI Services on the Ballinger Memorial Hospital campus on a scheduled routine basis and are interpreted by specialized Radiologists. Results are sent directly to your ordering provider. Most MRI studies take about 45 minutes as you lay on the imaging table. MRI tests are predominately used to image soft tissue of the body. Specially trained radiology technologist assist you through the study. What is a MRI test? A MRI machine produces a strong magnetic field and radio waves. The atoms in your body respond to this energy in a certain way which allows the MRI to detect this response and uses it to construct detailed images. MRI machines do not use X-Ray radiation, but some tests involve contrast in which blood tests may need to be performed prior to the imaging. Because of the strong magnet that the MRI machine uses, we will need to make absolutely sure you do not have any medal object with you or inside of your body like pacemakers and some implants. MRI tests require that you lie in a confined space on the imaging table. The machine does emit a loud noise as electricity passes through the internal parts of the MRI machine. Please talk to your provider before your study if you have concerns. 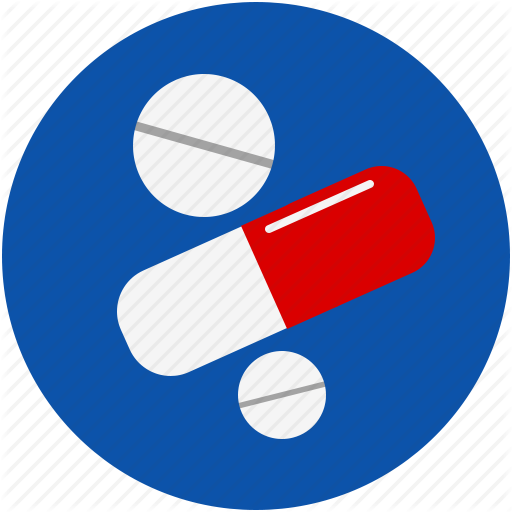 Medications:It is important for you to keep to your regular medication schedule. Just let our staff know what medications you have taken prior to your MRI Exam. Food and drink:You may eat or drink anything you like before a typical MRI test. If you are having your abdomen scanned it may be necessary for you to fast for a few hours before the test and to drink some contrast when you arrive for your test. An MRI staff member will call you the day before your test and give you any instructions you need. At that time, we can also tell you approximately how long we anticipate your test will take. When to arrive: You should arrive 30 minutes before your scheduled appointment. This allows time for you to complete any necessary paperwork, change your clothes for your exam and answer questions from our technologist about your medical history before we start your scan. What to wear: For all MRI scans, you most likely will change into a hospital gown. Our changing areas are private. It is best to leave valuable items at home. If you are wearing anything metallic, such as jewelry, dentures, eyeglasses, or hearing aids that might interfere with the MRI scan, we will ask you to remove them. You should not have your credit cards in your pockets during the scan because the MRI magnet can affect the magnetic strip on the card. Patients who are having a brain / head scan should not wear make-up as some brands contain metal. Intravenous preparation: Many of our patients receive a contrast agent intravenously during their MRI scan in order to give a clearer picture of the area being scanned. If your doctor has determined that this procedure will enhance your MRI scan results, the technologist will place an IV in your arm prior to your going into the scan. Scanning:Your technologist will bring you into the MRI scan room where you will lie down on the patient table. 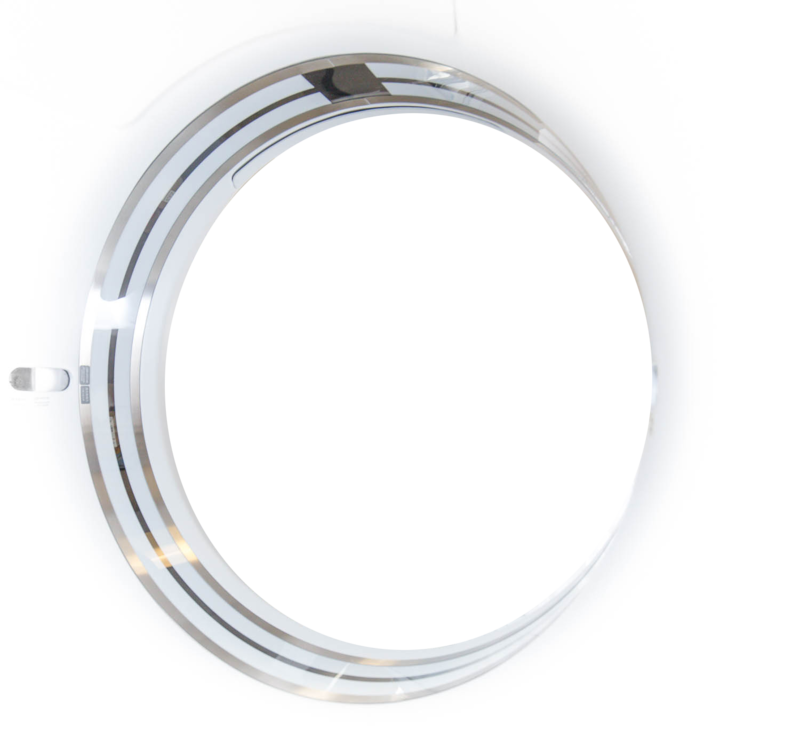 The technologist positions the part of your body to be scanned in the middle of the large cylindrical magnet. The scanner does not touch you, nor do you feel anything. 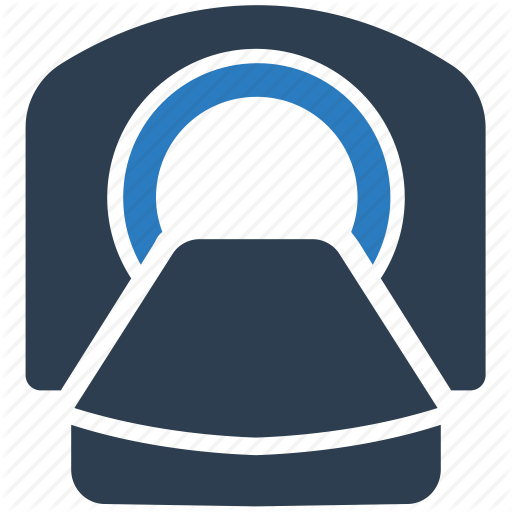 Because the scanner does make a loud knocking noise when it takes the pictures, the technologist will offer you headphones to listen to music or earplugs to lessen the sound. The technologist leaves the room, but is in full view and communication with you through the observation window in the adjoining room. There is also voice communication at all times through an intercom. It is important for you to lie very still, and at some points you may be asked to briefly hold your breath as the picture is taken. Length of MRI exam: Each MRI scan is tailored to each patient's needs, so the scanning time varies. Often the exam will involve a preliminary scan, then an injection of contrast through the IV in your arm, followed by more scanning. 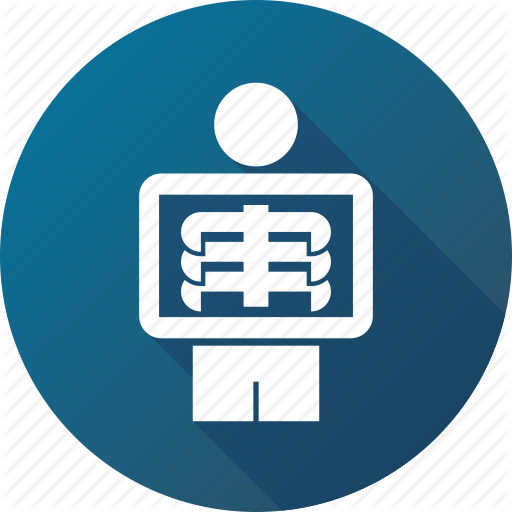 After all of the images are taken, we may ask you to wait a few moments while the radiologist reviews all the images so we can be sure we have exactly what your doctor wants. You may then get dressed and leave. Instructions:You have no restrictions after having a MRI exam and can go about your normal activities. To help eliminate the contrast medium from your body, remember to drink plenty of fluids. Exam results:All MRI exams are read by a radiologist specialty trained in MR imaging and dedicated to the specific area of interest for your study.Quick results are essential not only for your peace of mind, but also for your physician to begin planning your treatment immediately, if necessary. After the scan has been read, the results are sent to your physician, who will discuss them with you. The Ballinger Memorial Hospital Radiology team provides Sonogram Services on the Ballinger Memorial Hospital campus on a scheduled routine basis and are interpreted by specialized Radiologists. Results are sent directly to your ordering provider. Sonogram studies times vary by test. Sonograms or ultrasounds view your internal organs such as the liver, kidneys, or blood vessels. What is a Sonogram Scan? The sonogram machine, also known as an ultrasound machine, emits vibrations that enter your body and then echo back. These echoes create the ultrasound image. These vibrations are so gentle that they cannot be felt, and have no known harmful effects. The sonogram exam is performed by a trained professional called a sonographer, who will apply a clear gel to the area to be pictured. The sonographer will then move a handheld wand, called a transducer, over the area to be scanned. You will feel pressure from the transducer, but ultrasound is usually painless. Certain exams require preparation, such as fasting or having a full bladder; your physician will advise you about the required preparation. During the exam, you may be asked to change positions or hold your breath. What should I expect BEFORE my ultrasound exam? Food and drink: If you are having an abdominal ultrasound, you should have been instructed not to eat or drink anything 8 hours prior to your exam. Other ultrasound exams such as pelvic, thyroid, scrotal, and vascular studies do not require any preparation. When to arrive: You should arrive 10 minutes prior to your appointment time for registration. What to wear: You should wear comfortable, loose-fitting clothing. You may be asked to change into a gown. What will I experience DURING my ultrasound exam? Scanning:A sonographer, a health care professional specially trained in the use of ultrasound, will apply a gel to the skin over the area being examined. The gel maximizes contact between the transducer and the skin, thereby producing high quality images.The sonographer then passes the transducer over the targeted area and obtains the desired diagnostic data. Depending on the type of exam, you may have to lie still, change positions, or hold your breath. What should I expect AFTER my ultrasound scan? Instructions:You have no restrictions after having an ultrasound and can go about your normal activities. Exam results: All scans are read by a radiologist specialty trained in ultrasound imaging. Quick results are essential not only for your peace-of-mind, but also for your physician to begin planning your treatment immediately, if necessary. After the scan has been read the results are sent to your physician, who will discuss them with you. The Ballinger Memorial Hospital Radiology Department has been newly restructured to better accommodate each patient's safety and individualized needs. Each imaging room is wheelchair accessible. Providers can send imaging orders to the hospital and the results will be sent directly to your ordering provider. Appointments are necessary in order to serve each patient with the highest quality and personalized care. The Ballinger Memorial Hospital provides a Swing Bed program for patients in need of physical rehabilitation or skilled nursing care. This is an alternative to prolonged acute hospitalization or short term nursing facility placement. This may include IV therapy as well as physical and speech therapy. Our Swing Bed services are offered in an institutional setting to help you regain your independence to care for yourself at home. We are focused on your recovery. Swing Bed is a term Medicare uses to describe a hospital room that can switch from acute care status to skilled nursing status. The level of care that the patient in the room receives changes. The length of stay is dependent upon individual patient needs and progress. The average length of stay is 3-5 days, but Medicare will cover up to 20 days if necessary. Swing Bed is for continued care until the patient is able to return home or transfers to a facility for long term care. Ballinger Memorial Hospital District is pleased to offer this service to our community and we look forward to serving you and your family. If you have further questions or would like more information on our Swing Bed Program, you may contact our Swing Bed Coordinator, Leticia Reyes at 325-365-2531. The Ballinger Memorial Hospital Wellness Center is currently being revamped. 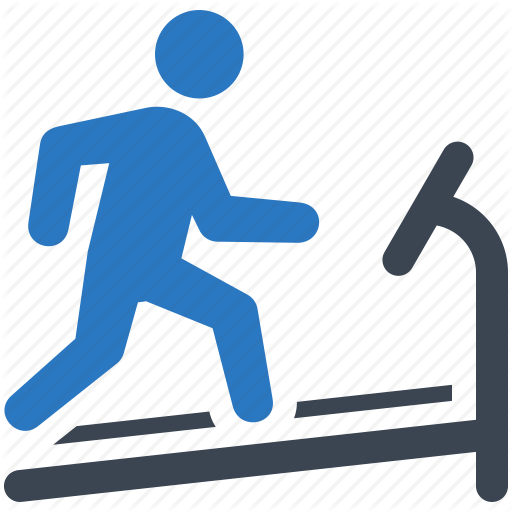 The Wellness Center will be equipped with all new equipment when the revamp is complete. In addition, it will be at a new location. Look back soon for updated details. Copyright © 2018 Ballinger Memorial Hospital. All Rights Reserved.